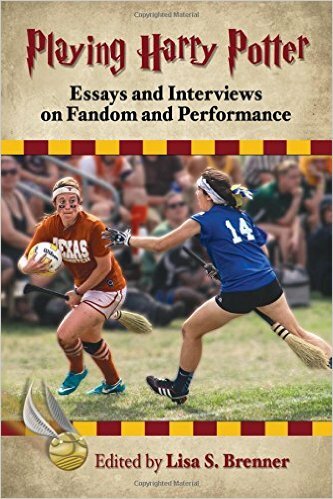 Yesterday, as I was doing my typical “avoiding-parental-duties-and-loitering-on-the-internet” thing, I ran across an article that both intrigued me as a researcher, and thrilled me as someone who has dabbled a bit in fandom. It was a story about a fan who has begun dating her celebrity crush, Disney’s Jake T. Austin from Wizards of Waverly Place. Apparently the fan began tweeting and commenting on his Instagram five years ago, culminating with Jake confirming that he’s “crazy for her”. I couldn’t help but grin just a little when I read the headline yesterday. After all…haven’t most of us had that daydream? I’ve admitted it here many times, but my crush was Roger. Never mind I was about 13 when he married his first wife Giovanna, or that I am not, nor was I ever, dark-haired, gorgeous, or the least bit exotic-looking…it was a dream, dammit! I had it bad for Roger…not bad enough to ever follow him (again, the whole “being 13” thing sort of stopped me), or try to meet him…but the reverie of being brave enough to whisk myself off to London and “accidentally on purpose” meet him outside a studio or a gig kept me occupied during many a World History class in middle school. Even after he returned to the band in 2001, the worst thing I ever did was make myself look like a complete fool as I wore light-up horns (oh yes, and oh-hell-no I’m not posting pictures!) and waved to him as he went off stage during The Chauffeur on the Astronaut tour. Yes, I am that girl. I mean, I was that girl. The horns have been retired. You’re welcome. Oh…there was that poster I held up asking if I could twirl his stick…. Yeah, let’s just not talk about that. Moving on. My point, because yes, there really IS a point, is that we all daydream at some point. The fan/rock star fantasies continue to run rampant, but most of us have conceded at this point that yes, they really are just fantasies. And then we read about someone’s fantasy coming true. I’ll be the first to admit that I briefly thought, “Now why couldn’t that have ever happened to me?” Then I started thinking about the 10,000 different reasons why there wasn’t a chance in hell, and realized that yes, my feet continue to be here on Planet Earth. Someone else did tweet something I’d been thinking in my head, though. “If only Duran Duran had been more accessible in the 80s!” If only. I’m also pretty certain that the band thanks their lucky stars the internet didn’t exist back then. Can’t really blame them, either. Think about how it was whenever John Taylor would tweet. I always pictured it in my head as though he were being chased down the block while trying to have a conversation…and that was after we were all adults (or at least pretended to be). Imagine us all as teens with any of them online. Go ahead…I dare you. I shudder at the thought. Do fans really have any kind of chance with celebrities? I suppose. If its meant to happen, it will. While it all sounds devastatingly romantic and certainly like a fairy tale at times, I think it all probably worked out as it was meant, at least for me. Glamorous is to Rhonda as she is to……. yeah, that word game isn’t going to work with me. I’m as regular of a person as you’re gonna get. I take selfies, squint at my imperfections that I didn’t see until I took the picture, and wonder if there’s an Instagram filter that gets rid of the “housewife” look. I see photos of Yasmin, Nefer, Gela and Gisella…and they seem to have that filter built-in. Then there’s the whole “You’re a FAN” thing. Even if I were able to sneak in under the radar and be permanently rid of that “housewife and mom” filter, I think it’s pretty difficult to shake that fan-label, even under the best of circumstances, even if I’ve tried. In one of the more recent embarrassments of my life, I made the mistake of mentioning to someone well-known I’d met previously that I’d love to meet up again and see them. They instantly assumed I was chatting them up, recoiling only slightly, being kind enough to cover and shoo me off as politely as possible with an incredibly carefully written email. Point taken, lesson learned. From now on, I stick to what I know. Writing. The computer. Perhaps a front row seat at a show where I can fantasize about being glamorous enough to attract attention, and then quietly retreat back to the reality of being a mom with three kids, a mortgage, and a fan-blog. No, it’s not a fairy-tale fantasy come to life, but then again…I can wear Converse and a ponytail in my hair, gab online, write this blog, and yes, occasionally go total fangirl while folding laundry before I run to get the kids at school. I’m me. I’ll take it. R you are a Rock Star, because you are one of the most important people in a society……….. A TEACHER ! ! ! ! ! In a right and proper world people should be asking for your autograph. Teachers are AWESOME! OMG Rhonda! Thank you for making me chuckle this morning! I would love to see a picture of you with the horns and the sign for Roger! My husband and I have a running gag ( please don’t think badly of me ) Ben loves J Lo and Shakira . I think he loves them more for their looks than their singing but anyways…… I keep telling him that if one of them came and knocked on the door here and offered me $100000 cash up front, they could take him away for 48 hours! Yes I would pimp out my hubby to J Lo or Shakira! LOL Then he tells me that if John or Roger came to the door he would do the same for me! We are both a little silly!!! I would love to meet all of them but the days of fantasising of being married to John are over. I just would love to meet them and tell them that they made a difference in my life and got me through those hellish awkward teen years! I will always love DD! I listen to them everyday! Fantasies and dreaming are what keep us young! Sometimes dreams come true! You never know….good luck in Niagara Falls!! I would have loved going to see them there. I’ve never been to see the falls, and well…the added bonus of Duran playing two nights there would be fantastic. Timing is bad for me though, but I wish you the best. Have a great time!